Ahhh …. Metro, Inspired?You have come to the right place for Metro Style WordPress Themes. For those of you who don’t know what Metro is, it is the latest user interface design by Microsoft, currently employed in Windows 8 and 8.1 (for those who do know what Metro is, good for you). It made its debut with Windows Phone 7, but back then it wasn’t known as Metro. Any way, this collection is dedicated to all the Metro lovers. Note that not all of them use the same font. All of these Metro-Style WordPress themes are heavily based on the actual UI design. With left to right scrolling unlike the conventional top to bottom, these Metro-Style WordPress themes will allow your website to easily stand out of the crowd. 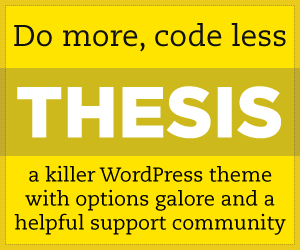 Most of these themes come with a very thorough documentation. It is so that you can customize the themes as you like. Many of the blogs and personal websites using such themes have even made some of them to look very much like the Windows 8 Start Menu. Either way, you can do it too. You don’t have to learn a lot of programming to do it. Nor do you have to run after programmers to make your website look like these. Just a few clicks here and a few clicks there, these themes will surely bring you a lot of accolades. So what are you waiting for? Get your Metro on and give your website a makeover that many adore. This collection is filled with customizable themes, so that you can have freedom of choice. Go Metro! STYLISH is a clean and responsive design that comes with rich tools and options to make creating website incredibly simple. With a tons elements of Stylish, you can use this theme for any purposes. Such as Business, Portfolio, Personal, Showcase, Blog or Landing Page. Metro is just limited with your imagination. Create your own metro tiles and own style. Highly customizable and extremely user-friendly, Wiksi – Responsive Magazine – provides a wide range of options with a flexible foundation that adopts your website resolution to smartphone devices, desktops and any other viewing environment. Metrolics is a metro style WordPress theme built with minimal approach, flat design and clean typography. Metrolics comes with two theme layout namely fullwidth and boxed. Metrolics is fully responsive and fits every device. Metrolics also comes with retina support for great graphics on iPhone and iPad devices. Metrolics is widget ready. Custom Page templates and custom post types make Metrolics a different metro style WordPress theme.